Venice Carnival is one of Italy's most spectacular annual events—a riot of color, elaborate historical costumes, glamorous masquerade balls, and a week of live concerts, street parties, and entertainment. Here's everything you need to know before you go. 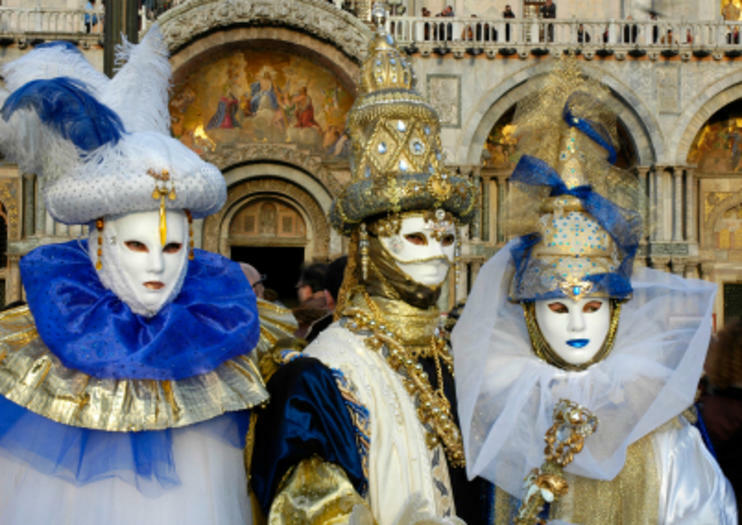 Traditionally held around Shrove Tuesday and Ash Wednesday, at the start of Lent (40 days before Easter), Venice Carnival (Carnevale del Veneto) celebrations can last up to two weeks. There's a busy schedule of both free and ticketed events during the main week, but the biggest events, including the official parades and masked balls, are held over the final weekend. Get into the Carnival spirit by buying or renting a traditional costume or classic Venetian mask, joining one of the parades or street parties, and sampling traditional Carnival foods such as frittelle (fritole), a traditional sweet pastry made only during the festivities. Carnival is also the ideal time to experience Venetian culture and traditions, so take part in a mask-making workshop, tour Venice's cicchetti bars for a bite to eat, cruise along the Grand Canal on a romantic Venice gondola ride, or attend an evening Carnival concert or dinner theater performance. St Mark's Square (Piazza San Marco) is the main hub of Carnival celebrations with daily parades, pageants, and other activities. Most Carnival events, except for the masquerade balls and gala dinners, are free to attend. Carnival falls during winter in Venice, so prepare for chilly weather and possible rain, with an average high of 46°F (8°C) in February.